Here in Southern California it's been very dry and the outdoors is showing it even though our hottest months are not here yet. So I decided to choose papers for this card that have a weathered look. Different textures will always add depth and interest to your art. My cards tend to be simple but for me that makes them fun to create and send to family. This one will be going to my parents in Washington. 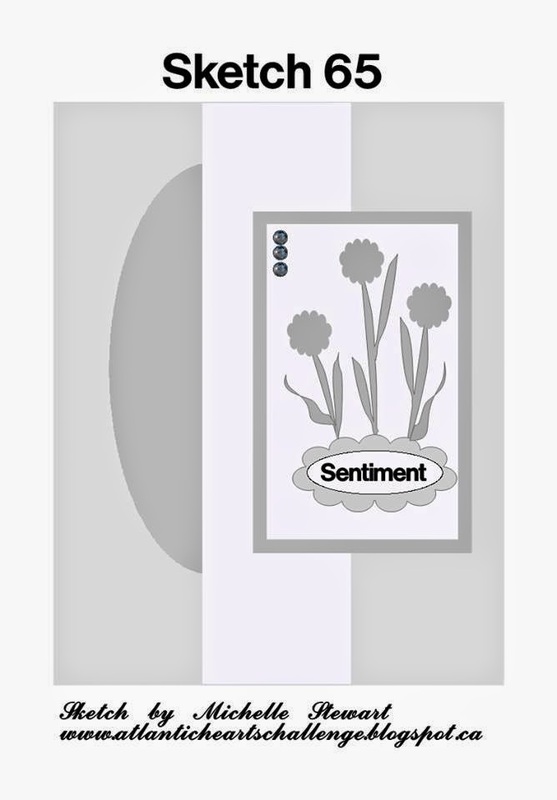 Here is the sketch for this week's challenge if you'd like to create something.Visit AHSC blog here. My card was chosen as one of the top 3! Thank you AHSC Team! I love the look of this card, it is very clean and simple. Lovely! Thanks for playing along with us at Atlantic Hearts Sketch Challenge. Beautiful. This caught my eye immediately. Great job. Thanks for joining us at AHSC! 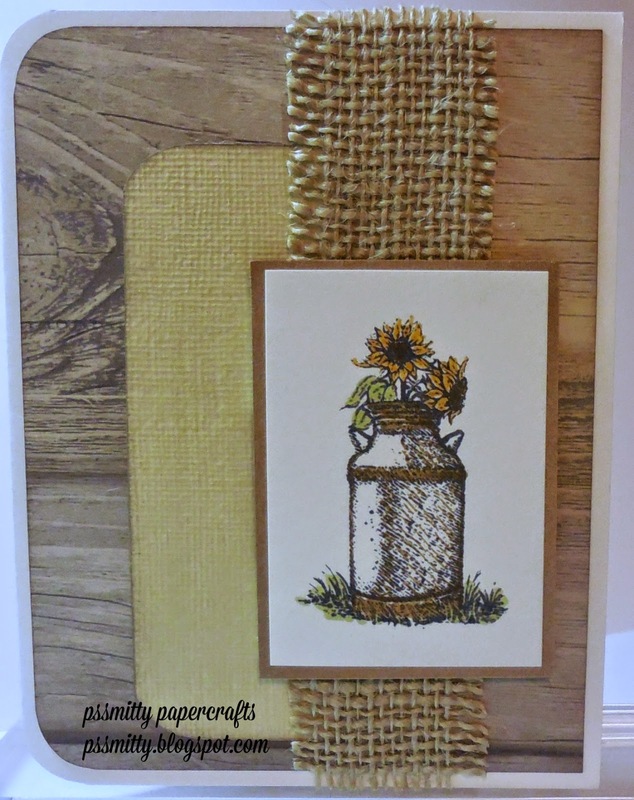 I love this card, I love the wood grain paper, the burlap, and the stamp with the sunflowers is just so cute. Great job! Thanks for playing along with AHSC! Love the layers and I tend to be a clean and simple girl myself. Thank you for playing along with us at Atlantic Hearts Sketch Challenge and we look forward to seeing you again soon. What a great country inspired card, I love it! Thanks for playing with AHSC this week! Super cute - I love the burlap with the woodgrain paper! Thanks for playing with Atlantic Hearts this week!